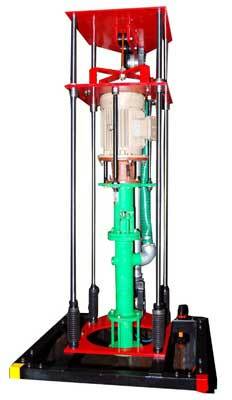 Barrel Pump, provided by our company, is extensively used for dispensing non-corrosive liquids from barrels and drums. The Rotary Barrel Pump makes this tedious task easy and completes the work more quickly as compared to other pumps. Heavy Duty Barrel Pump is suitable for fuel oil, lubricating oil, antifreeze & non corrosive liquid. Today, we have been enjoying the position of one of the trusted Industrial Barrel Pump Manufacturers.